When I was 16, my mum always nagging me to put on sunscreen whenever I went. "Always wear SPF, whatever the weather and no matter where you are!" It is very important to always use SPF to cover up and protect your skin from harmful UVB and UVA rays which will damage our skin all year round. Not only that, the sun also plays a major role in prematurely aging our skin which causing the winkles, pigmentation, sun spots, reduce skin elasticity, and many other signs of skin aging. So, it is really important that you need to wear sunscreen everyday. I have girl friends who do not like to apply sunscreen. The main reason is they cannot find the suitable sunscreen for their skin as some are either too rich or too thick and greasy which causing clog pores and breakouts. If you are also have the same experiences like my friends, I've got a new sunscreen product for you today! That's Althea's Petal Velvet Sunaway SPF 50+ PA ++++, a lightweight sunscreen that protects the skin from UV rays with a petal-like finish. I trust you must have heard of Althea from my blog since I've blogged about them for many times. 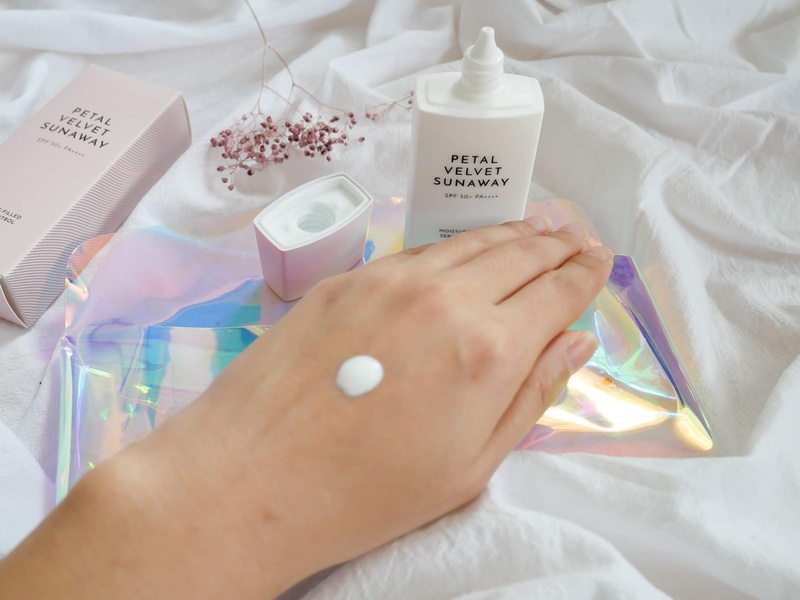 They have developed their own Althea products since 2017, with their very first own line product, Althea's Petal Velvet Powder, followed by the basic skincare range, Althea's Bare Essentials. And now, they are launching their new sunscreen product, Althea's Petal Velvet Sunaway SPF 50+ to protect your skin from the sun's UV rays! It's kinda excited for me since I'm looking for a new sunscreen product for my skin; the current one that I'm using now is a bit too heavy and sticky under my makeup. However, this Althea's Petal Velvet Sunaway SPF 50+ has fulfilled my basic needs for a sunscreen product. 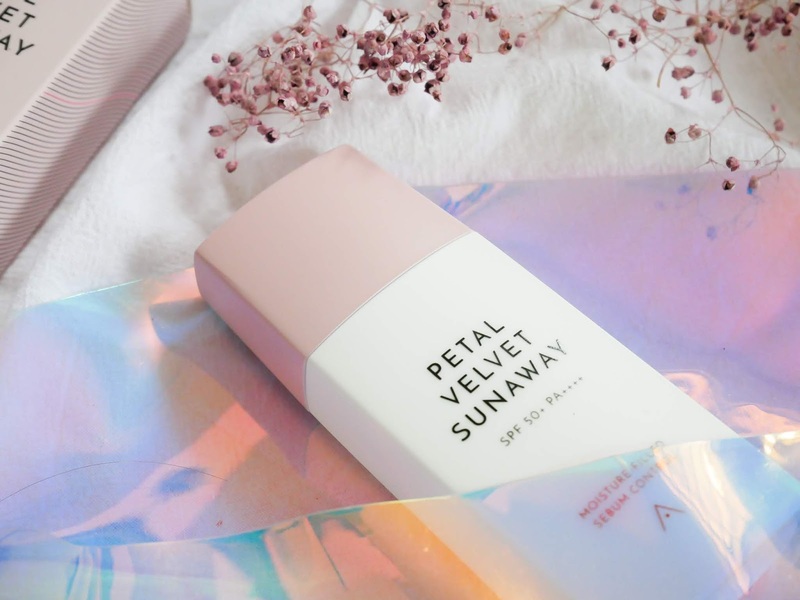 What is Petal Velvet Sunaway SPF 50+ PA ++++? 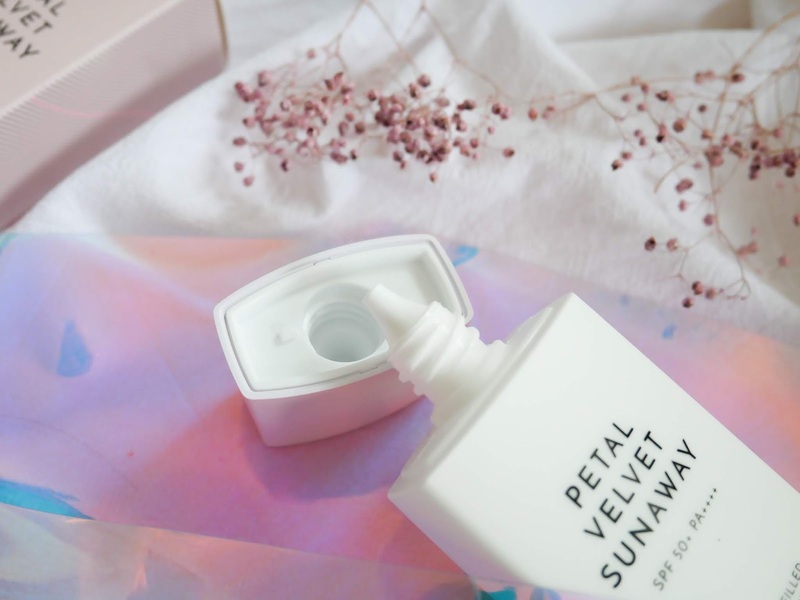 Petal Velvet Sunaway SPF 50+ @ RM43 (55ml) contains non-chemical formula with a light, fluid texture to protect the skin from both UVA and UVB rays. It builds up sunscreen filter on the surface of the skin and scatters UV light which is gentle on sensitive skin without any chemical ingredients. 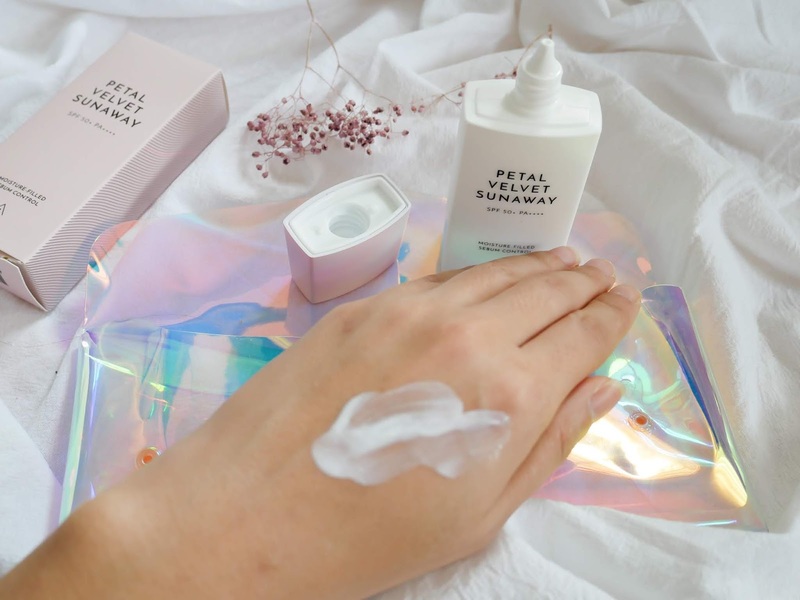 As part of the Petal Velvet line like the Petal Velvet Powder, Sunaway also contains micro-powder particles that absorb sebum and excess oil from the skin in order to give you a smooth, petal-like complexion. In addition, the product also comes with an SPF of 50 + and PA ++++, so your skin will be protect well against all UV rays all day long. The product contains main ingredient of Darmask Eose Extracts, which has a natural nanomolecular composition that is rich in vitamins to penetrate deep into the skin, soothing sensitivities and strengthening it for a radiant glow. Besides, it also performs an important function to moisturize and smoothen the skin. 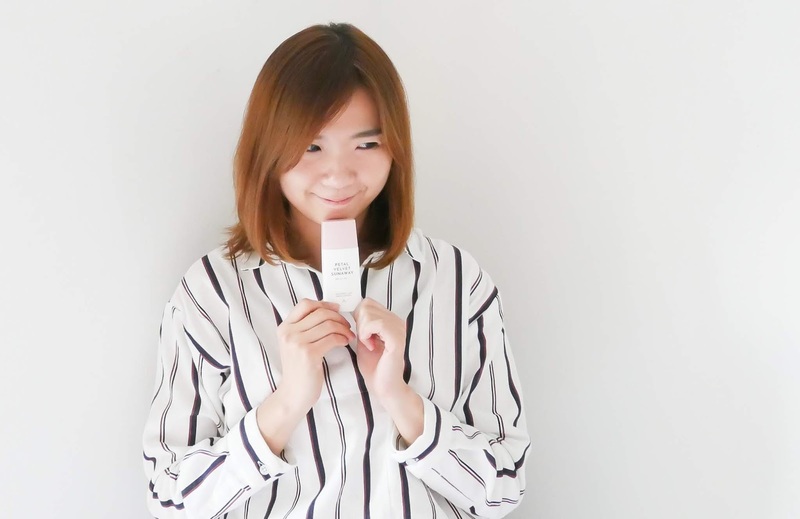 The Sunaway is suitable for all skin types; especially for those who is looking for a long-wearing, strong protection sunscreen for everyday use or who wants a moisturizing sunscreen, but without a white cast of stickiness. Petal Velvet Sunaway SPF 50+ comes in a minimal packaging with simple design and bright colours. 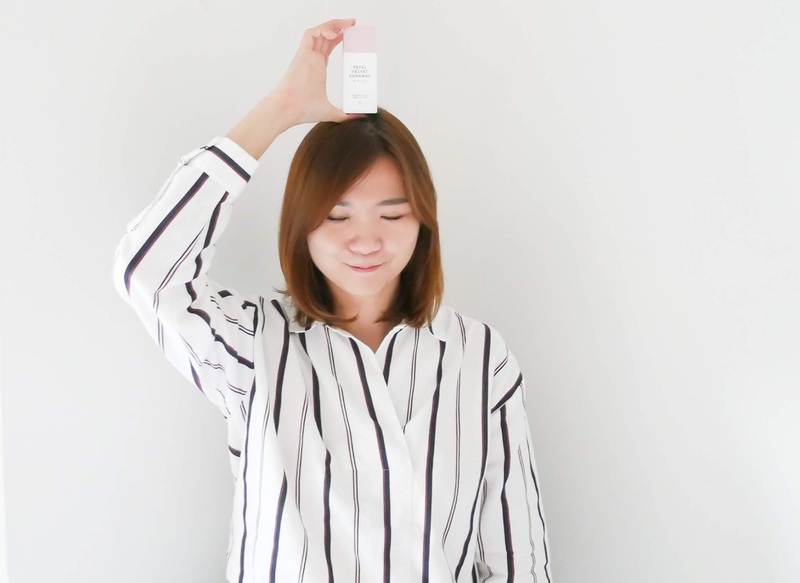 The mini plastic bottle is very light, which makes it so convenient to carry around in your bag for re-application your sunscreen throughout the whole day. I think the picture speaks well here. The texture is watery, that won't leave your skin sticky, streaky or greasy. I personally like this kind of texture when it comes to sunscreen because the light-weighted texture will not burden your skin or leaving any uncomfortable sticky residue, especially to your make up. Also, when it is so light-weighted, I trust it works for all skin types, even for oily or sensitive skins. Btw, the product also has a very fresh floral scent too. It is very important to shake the bottle well before using it, otherwise the contains will come out watery. At the last step of basic skincare, apply an appropriate amount evenly onto the face in the morning or before sun expose. Then, tap it lightly so that it absorb well onto your skin. This is definitely a light sunscreen that I've always wanted to purchase. The watery texture gives a very light and fresh feeling on my skin without drying down my skin complexion even though I spent my whole day outside. It leaves a light white cast upon the application but trust me it disappeared very fast once the sunscreen is completely absorbed by my skin. Some other sunscreens that I used before were either too creamy or too thick whereby they made me feel like I have too much on my skin. If you are looking for a mild, light-weighted, water-based and hydrating sunscreen with an affordable pricing, I would suggest you to try out this product. 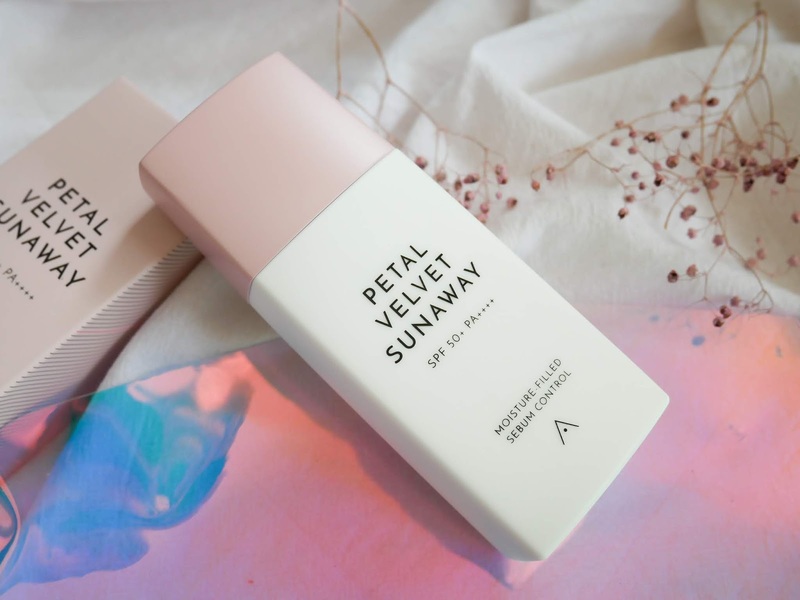 Althea's Petal Velvet Sunaway SPF 50+ is now available at Althea official website at https://my.althea.kr/petal-velvet-sunaway. You can also purchase the Petal Velvet Sunaway with your choice of Petal Velvet Powder to get additional 10% off the petal duo too ya!